Taking a step back and looking at Asia Pacific’s expansive horizon the small island nation of Fiji seems to only take up a smallish area on the bottom right hand corner of the map. Yet at FazWaz’s Property Insider we get out from behind our desk, boots on the ground as it were, and dig deep to see how the surging real estate market is ramping up. First hand, up close and personal. 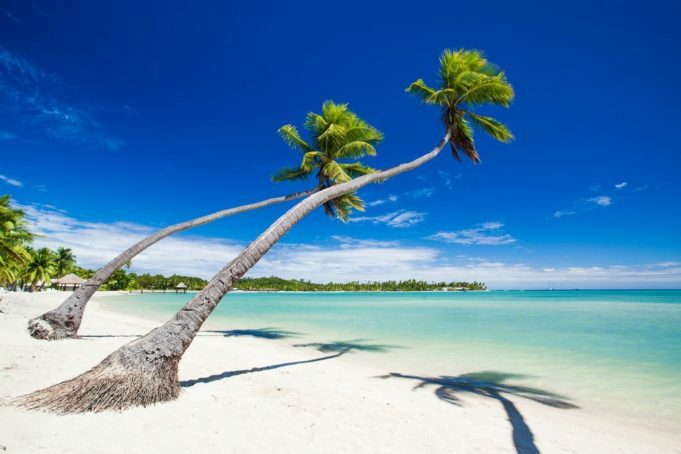 Traveling from Asia to Fiji is becoming increasingly more connected these days given direct flights now from Hong Kong and Singapore. According to local sources a Mainland China route is in the works and the country clearly understands that a rise in links to the world’s most exciting economic machine is a clear plus. From a tourism standpoint the dominant markets remain Australia and New Zealand with a smattering of Americans and other nationalities. During breakfast this morning at my hotel in the master planned destination resort Denaru Island, I could overhear the sounds of Asia in the background. Obviously this is the shape of things to come. Over the years the Fiji real estate market has seen it’s ups and downs, with various real estate classes being sold in terms of hotel branded apartments, freestanding villas and of course a well defined vacation ownership market. Prices are not cheap though and the market has upped the ante with prices accelerating on positive economic sentiment over the past two years. One project that is making noise is the Vunabaka resort in nearby Mololo which is a branded hotel and villa development. Aside from an ample white sand beach front, the million dollar villas feature private marina mornings and a sustainable innovative solar battery supply by Tesla. Planned to open in 2017 the mixed-use project has set new levels of land and villa pricing and is expected to be one of the most exclusive enclaves in the Pacific. A series of other high-flying luxury developments include Nanuku Auberge Resort, Naisoso Island and Wavi Island. In the secondary market hotel branded residences under such flags as Sheraton, Hilton and Radisson have seen high capital appreciation. At the same time Chinese investors have entered the property and hospitality market and speaking to local property brokers they have seen a consistent level of recent transactions as of late. My best comparable to the holiday destination of Fiji remains the comparison to my own home in Phuket which has benefited by air access from regional capital cities. Also the snowbird effect is a profound driver of demand to sun swept beaches. Flight time to key markets such as Auckland is only 3 hours while Australia’s Brisbane is 3.5 hours, hence the evolution of the holiday house market upward is a natural At the same time expect the Asian luxury set to start coming in increasing numbers and driving demand for posh tropical villas.